We live in a generation where uncertainty has become a part and parcel of life. Thus, with the growth in the inflation rate and the cost of living, people are compelled to invest for a good return so that the money can be useful in the future. The return on investments is always directly proportional with that of risk percentage which simply means, when the risk is high, the returns will also be comparatively high. Yet, we tend to have a safer way of investing our money with fewer obligations while retrieving it. A good investment strategy is one with long term benefits and choosing the right assets with due diligence. So by investing in right assets at the right time may lead to financial security in the future. There are numerous investment savings options available for all sections of society in a developing country like India. Yet, following are some of the 10 best safe investment options comparatively safe than the other options in India. For a novice investor, it is always better to invest in the safest investment option till he gains knowledge on the market and interest rates fluctuations. Fixed deposit is always the best option in the case of money invested is safe at all times. This is because an insurance policy is taken in the amount invested by the bank. Thus, this fixed deposit is always considered as the first choice for those who are not ready to take any kind of risks with moderate returns. The other important feature is the bank follows the stringent rules and regulations of RBI. The return on investment is also 8-9.5% depending on the rate of the banks. If there is a girl child in the house, Sukanya Samridhi scheme can be the best option providing various advantages such as partial withdrawal, investing range, etc. Under this scheme, the rate of return is 8.5% per annum compounded annually. Recurring deposit is a fixed deposit divided into parts. In simple terms, it is a special kind of deposit where the equal amount is to be deposited in regular time intervals mostly monthly, quarterly or half yearly. The return of recurring deposit will be 8-9% per annum which is slightly lower than that of the fixed deposit returns. PPF is also the safest option for investors with the minimum limit for the amount to be deposited is just 500 rupees per annum. 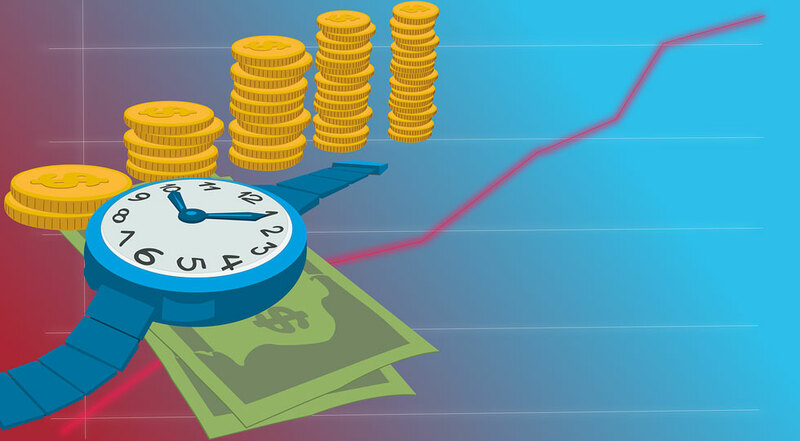 Though the lock period is for 15 years, the rate of return is as high as 8.8% per annum. The invested amount is eligible for deduction under 80C of the Income Tax act up to the specified limit. Return from PPF is also tax-free. This option is more suitable for people with regular income. This scheme is to be taken from the post office. This is suitable for senior citizens or retired persons. This scheme is safe as it is directly managed by the Government of India. The interest can be withdrawn by the investor monthly after a locking period of 5 years. The return on this investment is about 8.5% per annum. This plan is applicable only for senior citizens. The expected return is about 9.3% of the amount invested. The interest income is taxable but the invested amount is eligible for deduction under article 80C of the Income tax act. This is a bond which can be purchased from the post office. The return is relatively good for about 8% of the amount of the NSC. But the NSC may be issued for either 5 years or 10 years. This is also very safe as it is secured by the Government of India. This plan comes under mutual funds yet gives the safest side to the investors. This plan can be similar to fixed deposits but there is no capital protection through insurance or fixed return on investment like FDs. The returns are flexible yet give a better return than FD. Mutual fund plan is considered safer when the amount is invested in the debt based funds than that in the equity based funds which are affected by market volatility. Usually, debt mutual funds invest in fixed investments. The debt based mutual funds have earned better returns in the recent past. Amount kept in SB account gives a return of 4 – 5% per annum. The interest is calculated on the average of the monthly balance in the account. Insurance on the amount of the account is taken by the bank making it safer. This is issued every year with a slight change with that issued last year. This provides the tax benefit, as well as, the return is good ranging from 8 to 8.5% per annum. These are safe as it is directly governed by the central government.